The Accounting Division | The Cloud & Xero – what, why and how? 26 Jun The Cloud & Xero – what, why and how? We love The Cloud – which is why we have based The Accounting Division on it! Some might say that we’re a little bit addicted to Xero (our fave cloud accounting software)… but really, we’re just super excited about the benefits it provides our clients with, and so we just want to spread the word so that all business owners can reap the benefits. Many business owners look to their bank balance to determine how their business is performing. If there’s cash in the bank, then it means that we’re doing ok… but are we really? The amount of cash in your bank really only paints half the picture. What about the money owed to you? That’s money that could (and should) be in your bank account, but instead is still in your customer’s bank account. Are you aware of how much money is owed to you today? At the same time, you need to know what bills are coming up in the near future. There’s no point getting excited about seeing $100,000 in your bank account, if you need to pay $90,000 in bills this week. The amount of cash in your bank account does not give you the full picture of how healthy your business is. You need the full picture. Enter cloud technology… and specifically, Xero. Xero is a cloud based accounting program, that talks to your bank overnight and pulls in the details of yesterday’s bank transactions. The date, amount and description are automatically generated, and all you need to do is tell Xero what each item relates to. Better than that, Xero is quite intuitive, and if the amount and payer match an invoice currently in Xero, it will take a guess and ask if that’s what the transaction relates to. Once you tell Xero what a transaction relates to, the next time that transaction appears, Xero will remember what you told it last time, and will ask if you want to treat it in the same way. Xero is very intuitive, simple to use, and just clever. No more data entry. No more hours spent on your BAS, and the best part of all is that we (your accounting division) get access to your Xero account and can log in to help you (or extract any information we want), simultaneously. The best part of all, is that you can access all of this information on your business from any device with an internet connection, from anywhere you are in the world! Hello, running payroll while while on holidays in Greece! 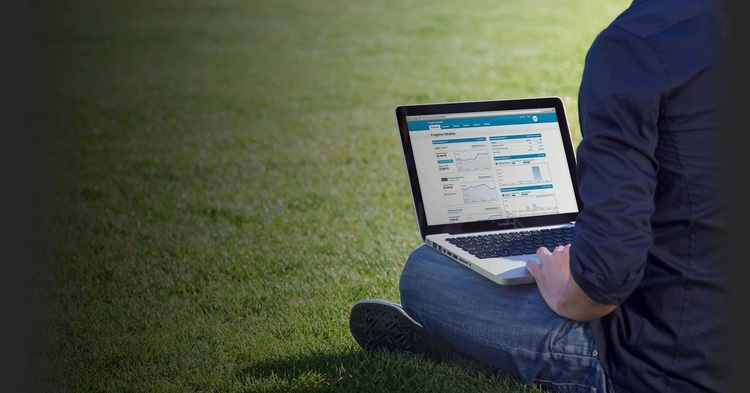 If you’re still not convinced on Xero, jump on to their website and start a free trial. You won’t look back! As always, if you have any questions on Xero (or cloud accounting in general), drop us an email or phone call… We’re always happy to help! P.s. No we don’t work for Xero… We just love what they do!